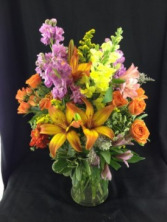 Colorful Blooms Flower Arrangement in Milford, PA - Myer The Florist Inc. 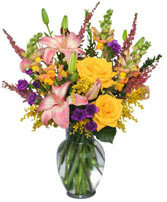 Perfect for someone who has added joy and color to your life. 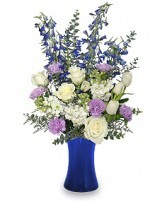 Show someone you are thinking of them fondly with this crisp white and blue arrangement of flowers from Myer The Florist Inc.. 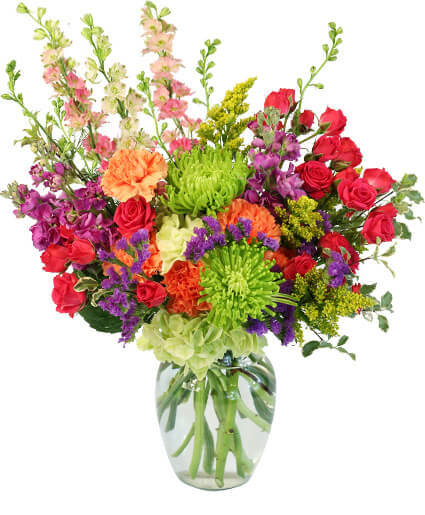 Featuring eye-catching blue delphinium and crisp white roses and tulips, this Festival of Flowers bouquet is as fresh and bright as a clear winter sky and is perfect for any occasion.